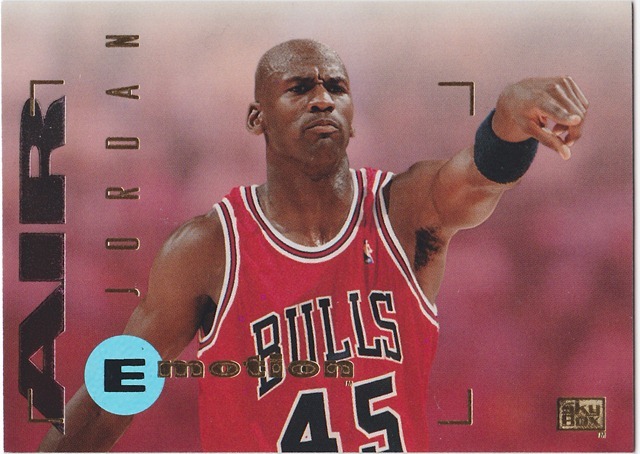 Ok, so back when I used to collect basketball cards in the 90’s I really really wanted to get my hands on some skybox emotion but back then they were just too far out of reach with the little money I actually had for cards. These days happily that’s a different story. I’m currently chasing the set of 1994-95 Skybox Emotion cards (complete base set of 121). I’m waiting on a bunch to be delivered this week but so far I’ve only got the MJ #100 (above). These seems to be pretty scarce these days but with a little help from the great members at OZCardTrader it’s making things a little easier to track these down. Once I’ve got the set together, I’ll be sure to post them up on here.